tar is one of the tools we use often and tend to ignore the usefulness of. Here are some of the most common uses as well as some more nifty options. So the first thing you need to know about it is tar‘s main purpose. 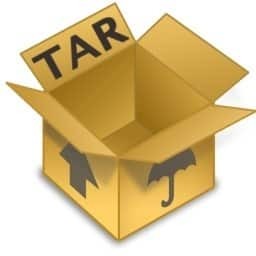 tar is short for “tape archive” (from back in the olden days), and it basically collects many things into one. So if you have a directory full of 37 items, when you tar it up you’ll have just one tar file containing all those things, which makes it easier to distribute. Plus, it preserves your directory structure and can also be made to keep permissions and date/time information intact as well. 1 Both with extracting and diffing, passing the option for compression is optional in most modern versions of tar. 2 Can’t go wrong with the man page.